This is a list of International Schools in Mumbai. IB schools in Mumbai and IGCSE schools in Mumbai are listed below. There are more International Schools in Mumbai than any other city in India. Most International Schools in Mumbai, Navi Mumbai and Thane offer either “International Baccalaureate” (IB) (which includes “PYP”, “MYP” and “IBDP”) or “Cambridge International Examinations” (CIE) (which includes “CP”, “CS1”, “IGCSE”, “AS and A Level”) programs. Many international schools in Mumbai offer both the “IB” and “CIE” curriculum in the same school. Please go to the bottom of this article for more information on IB and CIE programmes. 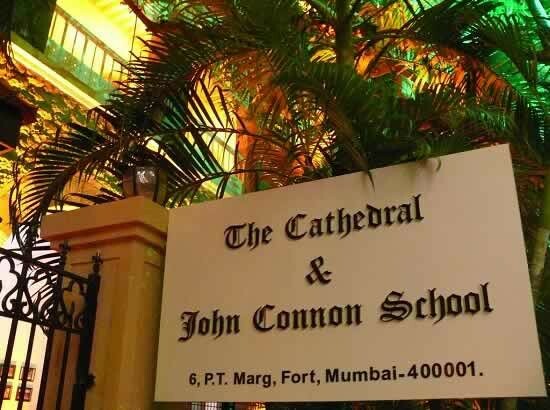 The Cathedral and John Connon School Fort ICSE ICSE ICSE IBDP and ISC 6 Purushottamdas, Thakurdas Marg, Mumbai – 400001. This is among the best schools in Mumbai and India. BD Somani International School Cuffe Parade CP CS1 IGCSE IBDP G. D. Somani Memorial School, Cuffe Parade, Mumbai 400005. Bombay International School (BIS) Babulnath ICSE and PYP ICSE ICSE and IGCSE IBDP 15, Babulnath Road, Malabar Hill, Mumbai, Maharashtra 400007. DSB International School (Deutsche Schule Bombay) (German School) Breach Candy CP1 and Thüringen CS1 IGCSE IBDP 76, Warden Rd, Breach Candy, Cumballa Hill, Mumbai, Maharashtra 400026. DSB has 2 campuses in South Mumbai. DSB International School is the oldest international school in Mumbai. It offers curicullum from Deutsche Auslandsschulen International, University of Cambridge International Examination and International Baccalaureate. Bright Start Fellowship International School (B.S.F.I.S.) Gowalia Tank CP CS1 IGCSE IBDP Fellowship Society Campus, Near August Kranti Maidan, Gowalia Tank, Mumbai 400036. Edubridge International School Grant Road (East) PYP MYP MYP IBDP Robert Money School Compound, Wadilal A. Patel Marg, Grant Road (East), Mumbai – 400007. HVB Global Academy Marine Drive CP CS1 IGCSE AS and A Level and IBDP 79, Marine Drive, Mumbai – 400 020. NSS Hill Spring International School (Nagrik Shikshan Sanstha) Tardeo PYP CS1 IGCSE IBDP NSS Educational Complex, M. P. Mill Compound, Tardeo, Mumbai – 400034. Universal School Tardeo Tardeo EYFS and CP1 CS1 IGCSE Behind Bhatia Hospital, Valencia Towers, Tukaram Javaji Marg, Tardeo, Mumbai – 400007. Aditya Birla World Academy Tardeo CP CS1 IGCSE AS and A Level and IBDP Vastu Shilp Annexe, Gamadia colony, JD Road, Tardeo, Mumbai – 400007. D Y Patil International School Worli PYP IGCSE IGCSE IBDP MIG Colony, Adarsh Nagar, Worli, Mumbai – 400018. Ecole Francaise Internationale Bombay Worli French Board French Board French Board French Board 72, Sir Pochkhanawala Rd, Worli, Mumbai – 400030. Podar – ORT International School, Worli Worli PYP MYP MYP IBDP PODAR-ORT School Building, 68, Worli Hill Estate, Worli, Mumbai. Pre-Primary is at Dr. Annie Besant Road. Fazlani L’Académie Globale Mazagaon PYP CS1 IGCSE A Level and IBDP Shivdas Chapsi Marg, Opp Wallace Fortuna Towers, Shivdas Chapsi Marg, Mazagaon Road, Mumbai – 400009. Christ Church School Byculla ICSE ICSE IGCSE and ICSE ISC Clare Road, Byculla, Mumbai – 400008. JBCN International School Parel CP1 CS1 IGCSE Yogi Tower (Citi Tower Building), Dr. S S Rao Road, Opp. Ashok Tower, Behind ITC Hotel, Parel, Mumbai – 400012. Shree Amulakh Amichand International School Matunga (East) CS1 IGCSE 76-A, Rafi Ahmed Kidwai Road, Matunga (East), Mumbai – 400019. Don Bosco International School Matunga (East) CP1 CS1 IGCSE IBDP Nathalal Parekh Marg, Matunga (East), Mumbai- 400019. Trinity International School Sion (East) CP1 CS1 IGCSE Plot No. 247-248, Near Gokul Hall, Sion (East), Mumbai – 400022. Dhirubhai Ambani International School Bandra-Kurla Complex Mix of ICSE and ICGCSE Mix of ICSE and ICGCSE ICSE and ICGCSE IBDP G Block, 46,Trident Road, Bandra Kurla Complex, Bandra East, Mumbai – 400051. American School of Bombay (ASB) Bandra-Kurla Complex PYP MYP MYP IBDP SF-2, G-Block, Bandra Kurla Complex Road,Bandra East, Mumbai – 400098. There are 2 campuses located 3 Km apart. MET Rishikul Vidyalaya Bandra (West) CP CS1 IGCSE AS and A Level MET Complex, Bandra Reclamation, Bandra West, Mumbai – 400050. St. Stanislaus International School and St. Stanislaus High School Bandra (West) SSC SSC IGCSE and SSC St.Stanislaus High School, 65, Ramdas Nayak Marg (Hill Road), Bandra West, Mumbai – 400050. KES International School (Khar Education Society) Khar (West) CP CS1 IGCSE Khar Education Society, S V. Road, Khar (West), Mumbai – 400052. Podar International School Santacruz (West) PYP CS1 IGCSE AS and A Level and IBDP Podar International School (IB & CIE) – Secondary Section, Ramee Emerald Building, Near Shamrao Vitthal Bank, S. V. Road, Khar (West), Mumbai – 400052. The Primary section is opposite CKP Club. Billabong High International School Santacruz (West) Own Curriculum Own Curriculum IGCSE and Own Curriculum Ajivasan, Off. Juhu Tara Road, Opp. Lido Tower, Next to SNDT College, Santacruz West, Mumbai – 400049. Panbai International School (PBIS) Santacruz (East) CP CS1 IGCSE AS and A Level Prabhat Colony, Opp B.M.C Office, Santacruz East, Mumbai. SVKM International School or SVKM JV Parekh International School Vile Parle CP CS1 IGCSE A Level and IBDP CNM School Campus, Dadabhai Road, Off S.V. Road, Vile Parle West, Mumbai – 400056. École Mondiale World School Juhu PYP MYP IGCSE and MYP IBDP Gulmohur Cross Road No. 9, J.V.P.D. Scheme,Juhu Mumbai – 400 049. Jamnabai Narsee International School Juhu PYP MYP IGCSE and ICSE IDBP Narsee Monjee Bhavan, N.S. Road #7, JVPD Scheme, Juhu, Mumbai – 400049. CP Goenka International School Juhu Own Curriculum CS1 IGCSE AS and A Level Gulmohar Cross Road No. 1, Plot No.44, JVPD, Mumbai – 400049. Utpal Shanghvi Global School and Prabhavati Padamshi Soni International Junior College Juhu CP1 and SSC CS1 and SSC IGCSE and SSC AS and A Level East-West Road No. 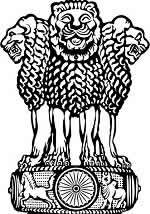 3, J.V.P.D. Scheme, Juhu, Mumbai – 400 049. Tridha School Andheri (East) Steiner Waldorf Steiner Waldorf IGCSE Malpa Dongri No.3, Near Pump House, Opposite Satya Darshan Society, Andheri East, Mumbai – 400093. Bombay Cambridge School Andheri (East) CP1 CS1 IGCSE and SSC Rabindranath Tagore Marg, Off Sahar Road, Chakala, Andheri (East), Mumbai – 400099. Nahar International School Andheri (East) CP CS1 IGCSE IBDP Nahar’s Amrit Shakti, Chandivali Farm Road, Off Saki Vihar Road, Andheri (East), Mumbai – 400072. RIMS International School and Junior College Andheri (West) CP1 CS1 IGCSE AS and A Level New Link Road, Near Fun Republic, Andheri (West), Mumbai – 400053. Ryan Global School Andheri (West) PYP CS1 IGCSE Yamuna Nagar, Near Millat Nagar, Lokhandwala, Andheri West, Mumbai, 400053. Bombay Cambridge School Andheri (West) CP1 and SSC CS1 and SSC IGCSE and SSC Caesar Road, Amboli, Andheri (West), Mumbai-400058. Jankidevi Public School Andheri (West) CP and ICSE CS1 and ICSE IGCSE and ICSE AS and A Level Plot No. 1, RSC-6, Four Bunglows, Janki Devi Public School Road, Andheri West, Mumbai – 400053. HVPS International School Oshiwara CP CS1 IGCSE AS and A Level A-21, Near Income Tax Quarters, Opp. Mira Society,Oshiwara, Mhada Colony, Andheri West, Mumbai – 400053. JBCN International School Oshiwara CP1 CS1 IGCSE Oshiwara Harrow Avenue, Off Andheri Link Road, Behind Tarapore Towers, Oshiwara, Andheri (West), Mumbai – 400058. VIBGYOR High School (Goregaon West) Goregaon (West) CP and ICSE CS1 and ICSE IGCSE and ICSE AS and A Level Motilal Nagar – 1, Srirang Sabde Marg, Off. Andheri – Malad Link Road, Goregaon (W), Mumbai – 400104. Oberoi International School (OIS) Goregaon (East) PYP CS1 and MYP IGCSE and MYP IBDP Oberoi Garden City, Near Oberoi Mall, Off Western Express Highway, Goregaon East, Mumbai – 400063. Witty International School (Malad) Malad (West) CP CS1 IGCSE A Level Ramchandra Lane, Malad (West), Mumbai – 400064. Witty International School (Pawan Baug, Malad) Malad (West) CP CS1 IGCSE A Level Pawan Baug Road, off. S.V. 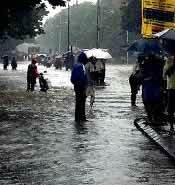 Road, Adjacent to Techniplex, Malad (West), Mumbai 400064. D G Khetan International School Malad (West) Own Curriculum Own Curriculum IGCSE A Level Dwarkibai Gangadhar Khetan International School, Krishna Realties, Behind Sunder Nagar, Off. S.V. Road & Link Road, Malad (West), Mumbai – 400064. Pinnacle High International School Malad (West) CP CS1 IGCSE A Level Sunder Lane Orlem, Malad (West), Mumbai – 400064. Mainadevi Bajaj International School Malad (West) CP1 CS1 IGCSE IBDP Rajasthani Sammelan Campus, S.V Road, Malad (West), Mumbai – 400064. Dr. Sarvepalli Radhakrishnan Vidyalaya Malad (West) SSC SSC IGCSE and SSC Sunder Nagar,Malad (West), Mumbai – 400064. St. Anne International School Malad (West) CP CS1 IGCSE Sunder Lane, Orlem, Malad West, Mumbai – 400064. Veer Bhagat Singh Vidyalaya Malad (West) CP and SSC CS1 and SSC IGCSE and SSC Marve Road, Malad West, Mumbai – 400095. Gundecha Education Academy (GEA) Kandivali (East) ICSE ICSE IGCSE and ICSE AS and A Level and ISC Thakur Village Road, Valley of Flowers, Near Evershine Dream Park, Thakur Village, Kandivali East, Mumbai – 400101. Thakur International School Kandivali (West) ICSE ICSE IGCSE and ICSE CTS No. Off, 1299, Shivaji Road, Off MG Road, Kandivali West, Mumbai – 400067. Savitridevi Hariram Agarwal International School Kandivali (West) CP CS1 IGCSE Shankar Lane, Opp. Jain Temple, Kandivali(West), Mumbai- 400067. Ajmera Global School Borivali (West) PYP and ICSE CS1 and ICSE IGCSE and ICSE Yogi Nagar, Eskar Road, Borivali (West), Mumbai – 400091. JBCN International School Borivali (West) Own Curriculum Own Curriculum IGCSE Plot CTS No 96, Remison Towers, Near Bhagwati Hospital, Baburao Ranade Marg, Opp. Union Bank Staff Quarters, Borivali (West), Mumbai – 400103. Dr. Pillai Global Academy Borivali (West) CP CS1 IGCSE AS and A Level and IDBP Plot No. 1, RSC 48, Gorai-II, Mhada Layout, Near Gorai Bus Depot, Borivali (West), Mumbai – 400092. Learning Panorama School Borivali (West) IGCSE IDBP Plot No. 25C, Old MHB Colony, Opp. Vaidya Kumar Garden, Near Don Bosco School, Gorai Link Road, Borivali (West), Mumbai – 400092. Dr. Sarvepalli Radhakrishnan Vidyalaya Borivali (West) CP1 and SSC CS1 and SSC IGCSE and SSC Saibaba Nagar, Borivali (West), Mumbai – 400092. Singapore International School (SIS Mumbai) Dahisar PYP MYP IGCSE AS and A Level On National Highway No. 8, Near Dahisar Toll Post, Adjacent to Thakur Mall, Dahisar, Mumbai – 401104. Singapore International School has hostel facilities. Rustomjee Cambridge International School (Dahisar Branch) Dahisar (West) SSC SSC IGCSE A Level Rustomjee Acres, Rustom Irani Marg, Dahisar (West), Mumbai 400 068. RBK School Mira Road (East) ICSE ICSE IGCSE and ICSE AS and A Level and ISC Beverly Park, Mira Road (East). Ram Ratna International School Bhayander (West) CP CS1 IGCSE Keshav Srushti, Uttan Gorai Road, Bhayander (West), Dist. Thane – 401106. Rustomjee Cambridge International School (Virar Branch) Virar (West) SSC SSC IGCSE A Level Plot PS 209, Off. Narangi Bypass Rd, Opp. Avenue H, Global Ciy, Virar (West). RBK International Academy Chembur PYP MYP IGCSE and MYP IBDP Opp. Indian Oil Nagar, Near Shankara Colony, Behind Taasa Container Yard B, Ghatkopar – Mankhurd Link Road, Mumbai – 400088. Garodia International Centre for Learning Ghatkopar (East) CP CS1 IGCSE IBDP 153 Garodia Nagar, Ghatkopar (East), Mumbai – 400077. Bunts Sangha’s S M Shetty International School & Junior College Powai CP CS1 IGCSE AS and A Level and IBDP Hiranandani Gardens, Powai, Mumbai – 400076. HFS International Powai CP CS1 IGCSE IBDP Senior School Building, Richmond Street, Hiranandani Gardens, Powai, Mumbai – 400076. Podar Education Complex – Powai Powai CP and CBSE CS1 and CBSE IGCSE and CBSE AS and A Level and CBSE Hiranandani Knowledge Park, Opp Dr L. N. Hiranandani Hospital, Powai, Mumbai – 400076. The Gateway School of Mumbai Govandi (East) CP and NIOS CS1 and NIOS IGCSE and NIOS Sion-Trombay Road, Next to Deonar Bus Depot, Diagonally opposite TISS, Govandi (East), Mumbai – 400088. The Gateway School of Mumbai offers education to students with Learning Disabilities and Special Needs. It is in collaboration with The Gateway School of New York. NES International School Mulund (West) PYP MYP IGCSE and MYP AS and A Level and IBDP “Swapna Nagari, Malabar Hill Road, Mulund (West), Mumbai-400082. Arya Cambridge International School (ACIS) Thane (West) Own Curriculum Own Curriculum IGCSE “Saibaba Vihar Complex, Near Muchala Polytechnic, Ghodbunder Road, Thane (West) – 400601. Rustomjee Cambridge International School – Thane Branch Thane (West) SSC SSC IGCSE A Level Rustomjee Urbania, Eastern Express Highway, Majiwada, Thane (West) – 400601. Smt. Sulochanadevi Singhania School Thane (West) ICSE ICSE ICSE ISC and IBDP Pokharan Road No.1, J K Gram, Thane (West), Thane – 400606. Billabong High International School, Thane Thane (West) ICSE ICSE IGCSE and ICSE AS and A Level and ISC Main Road No 27, Wagle Industrial Estate, Thane West, Thane – 400604. Podar Education Complex – Thane Thane (West) CP and CBSE CS1 and CBSE IGCSE and CBSE AS and A Level and CBSE Hamilton Building, Hiranandani Estate, Thane – 400607. VIBGYOR High School (Airoli) Airoli CP, ICSE and CBSE CS1 and ICSE Plot No. 114, Sector No. 8A, Airoli, District Thane, Navi Mumbai – 400708. Avalon Heights International School Vashi ICSE ICSE IGCSE and ICSE PLot No. 7, Sector 19 B, Vashi, Navi Mumbai – 400703. Goldcrest International Vashi PYP MYP MYP IBDP Plot No. 59, Sector 29, Near Rajiv Gandhi Park, Vashi, Navi Mumbai – 400703. D Y Patil International School, Nerul Nerul CP CS1 IGCSE AS and A Level and IBDP Dr. D Y Patil Vidhyanagar, Sector 7, Nerul(East), Navi Mumbai – 400706. Podar International School (CIE) Nerul Nerul CP CS1 IGCSE AS and A Level Plot No .30, Sector No .36, Sea woods West, Nerul, Navi Mumbai – 400706. Harmony International School (IGCSE) Kharghar CP CS1 IGCSE Plot No. 15, Sector -5, Kharghar, Navi Mumbai – 410210. Ryan Global School, Kharghar Kharghar PYP CS1 IGCSE AS and A Level Ryan Global School, Plot No 1, 2, 3, Sector No 11, Kharghar, Navi Mumbai – 410210. Dr. Pillai Global Academy, New Panvel New Panvel CP CS1 IGCSE AS and A Level and IBDP Sector-7, Khanda Colony, New Panvel, Navi Mumbai – 410206. Omkar Cambridge International School Dombivali (East) CP CS1 IGCSE AS and A Level P-74/P-89 Phase II, MIDC Residential Zone, Near Mamata Hospital, Dombivli East – 421203. Gurukul The Day School (GDS) Dombivli (East) CBSE CBSE IGCSE and CBSE Daval Pada – Vasar, Pipeline Road, Near Nevali Junction, District: Thane, 421306. IRA Global School Dombivli (East) CP CS1 IGCSE AS and A Level Kole Gaon, Opp. Premiere Company, Kalyan Shilphata Road, Dombivali (East), 421203. Podar International School (CIE) Kalyan Kalyan (West) CP CS1 IGCSE AS and A Level Wyale Nagar, Gandhar Village, Near Rita Memorial School, Near Mohan Pride High life, Kalyan (West) – 421301. NOTE: Some schools have “INTERNATIONAL” in their name even though they offer one of the local school curriculums (ICSE, SSC, CBSE, etc). International schools in Mumbai offer mainly 2 International Education Programs/Curriculum/Syllabus/Courses. These are International Baccalaureate (IB) and University of Cambridge International Examinations (CIE). Geneva based International Baccalaureate (IB) offers four international educational programmes for children between the ages of 3 to 19. Among the four IB programs, “IBDP” is the most popular among IB schools in Mumbai. Primary Years Programme (PYP): From grade/standard KG to 5, for children of ages 3 to 12. Middle Years Programme (MYP): From grade/standard 6 to 10, for children of ages 11 to 16.
International Baccalaureate Diploma Programme (IBDP): From grade/standard 11 to 12, for children of ages 16 to 19. Career-related Programme (CP): From grade/standard 11 to 12, for children of ages 16 to 19.
International Baccalaureate Diploma Programme (IBDP) (grade 11 and 12) is recognized by Indian colleges and universities. International Baccalaureate (IB) Diploma has been recognized by the Association of Indian Universities since 1983. This recognition was renewed in 2010 and it applies to all universities in India. Students intending to take up medicine may need to take up extra science courses. Indian colleges and universities require percentage marks for standard 12, which is not the grading system for IB. For Indian students International Baccalaureate has a provision of providing Indian equivalent percentage for the IB Diploma Programme. Middle Years Programme (MYP) for grade/standard 10 is recognized by Maharashtra State Board of Secondary and Higher Secondary Education, Association of Indian Universities, Council for the Indian School Certificate Examinations (CISCE), Council of Boards of School Education in India (COBSE) and other Indian Education boards. Parents and students should note that results for International Baccalaureate Programmes come out later than many equivalent Indian boards. Cambridge International Examinations (CIE) is the largest provider of international education programmes in the world for children between the ages of 5 to 19. CIE is part of the University of Cambridge, UK. Cambridge International Examinations (CIE) is formally known as University of Cambridge International Examinations. “IGCSE” is the most popular program among international schools in Mumbai that offer CIE.
Cambridge Secondary 1 (CS1): From grade/standard 6 to 8, for children of ages 11 to 14. Cambridge International General Certificate of Secondary Education (IGCSE): From grade/standard 9 to 10, for children of ages 14 to 16. IGCSE is sometimes called Cambridge Secondary 2 (CS2). CIE also offers Cambridge “O“ Level for this age group. Cambridge International AS (Advanced Subsidiary) and A (Advanced) Level: From grade/standard 11 to 12, for children of ages 16 to 19. CIE also offers Cambridge “Pre-U“ for this age group. The IGCSE exam (standard 9 and 10) is recognized by Indian schools, colleges, universities and education boards. Students taking the IGCSE in a minimum of 5 subjects are considered on par with students from State Boards, ICSE, and CBSE. Maharashtra State Board of Secondary and Higher Secondary Education accept IGCSE for admission to Junior Colleges (standard 11 and 12) in Maharashtra. Cambridge International Examinations “AS” (Advanced Subsidiary) and “A” (Advanced) Level are recognized by Indian colleges and universities. The Association of Indian Universities (AIU) and many State Education Boards, including the Maharashtra State Board of Secondary and Higher Secondary Education, have recognized that certificates issued by Cambridge International Examination. Students intending to pursue engineering and medicine must take Chemistry, Physics, Biology or Mathematics and English at AS Level. Previously the results for IGCSE used to come out later than Indian board results. Now the IGCSE exams are held earlier to coincide with the Indian education system.